On Wednesday, September 19, faculty, staff, and students gathered for the first of Regent University’s Fortieth Anniversary Chapel Series. 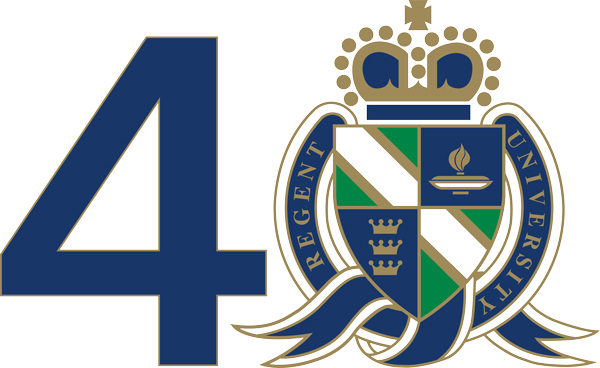 During the series marking Regent’s 40thyear, speakers will address a critical question: What comprises the soul of the Christian university, and what is necessary to strengthen, restore, or maintain it? “We must vigilantly and diligently guard its heart and soul, and protect it and preserve it by God’s grace,” said Executive Vice President for Academic Affairs Dr. Gerson Moreno-Riaño. He pointed to Proverbs 1:1-7, a passage in which King Solomon not only compels readers to seek out wisdom, but also maintains that they can only do so if they fear the Lord.